i. 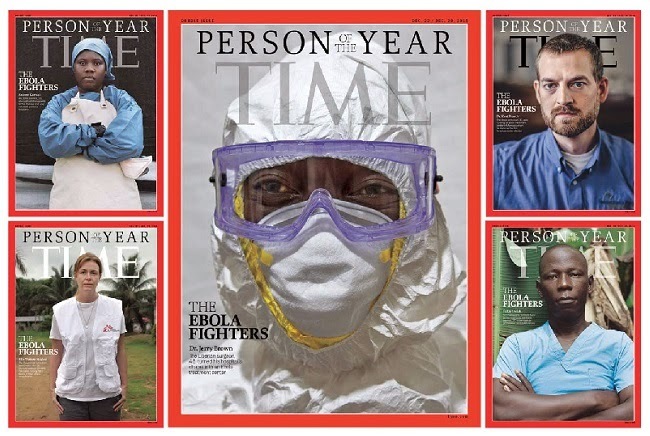 The countless doctors, nurses and caregivers at the forefront of battling one of the worst ever outbreaks of the deadly Ebola virus, were collectively named as Time magazine's 2014 'Person of the Year'. ii. The 'Ebola fighters' have been awarded for their "tireless acts of courage and mercy" and for "risking, persisting, sacrificing and saving". iii. Time's editors unveiled the winner of the annual honour selecting the Ebola fighters from an initial list of 50 world leaders on Wednesday, business heads and record-breaking artists that was narrowed down to a shortlist of eight this week. iv. "Ebola is a war, and a warning. The global health system is nowhere close to strong enough to keep us safe from infectious disease, and 'us' means everyone, not just those in faraway places where this is one threat among many that claim lives every day. v. "The rest of the world can sleep at night because a group of men and women are willing to stand and fight. For tireless acts of courage and mercy, for buying the world time to boost its defences, for risking, for persisting, for sacrificing and saving, the Ebola fighters are Time's 2014 Person of the Year," Editor Nancy Gibbs said explaining the publication's reasoning behind the choice. vi. Time had conducted a separate online poll in which it gave a chance to its readers to select who they think should win the title of Person of the Year. Note: The readers' poll was won by Prime Minister Narendra Modi, who had secured more than 16 percent of the almost five million votes cast. i. India’s Kailash Satyarthi received the Nobel Peace Prize for 2014 today, sharing it with Pakistan’s Malala Yousafzai, the youngest ever Nobel laureate, for their work on promoting child rights in the troubled sub-continent, where millions are deprived of their childhood and education. ii. “Satyarthi and Yousafzai are precisely the people whom Alfred Nobel in his will calls ‘champions of peace’,” Chairman of the Norwegian Nobel Committee Thorbjorn Jagland said in his speech before awarding them the prize. iii. “A young girl and a somewhat older man, one from Pakistan and one from India, one Muslim, the other Hindu; both symbols of what the world needs: more unity. Fraternity between the nations!,” he added. iv. 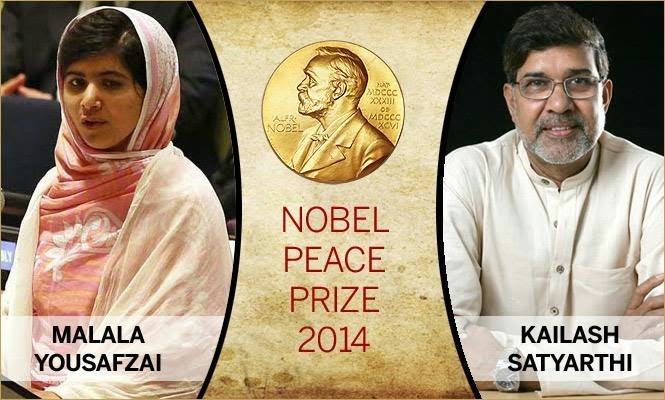 Satyarthi, 60, who gave up his job as an electrical engineer to run an NGO for rescuing children from forced labour and trafficking, and 17-year-old Malala, who survived a near-fatal Taliban attack two years ago with determination advocating education for girls, were named by the Nobel Peace Prize Committee for the prestigious award on October 10.
v. They received the Nobel medal which is 18 carat green gold plated with 24 carat gold and weighs around 175 grams. vi. They will share $1.1 million prize money. i. Russia's state-owned Rosatom said it would supply 12 nuclear energy reactors for India over 20 years, under an agreement aimed at boosting nuclear energy cooperation signed by the two countries during a summit in New Delhi on Thursday. ii. A 1,000-megawatt reactor is operating at the Russian-built Kudankulam power station in India's Tamil Nadu district, with a second due to come on stream in 2015.
iii. Russian President Vladimir Putin had been pushing for Rosatom to increase the number of reactors it could supply to as many as 25.
iv. Indian officials say that a total of six reactors will be built at Kudankulam, with a further six to follow at a site that has not yet been determined. i. The global economy will grow by more than 3 percent in 2015 and 2016 however the growth will be uneven in some regions, predicts the United Nations. ii. The UN's annual economic report yesterday said that growth edged up in 2014 at an estimated 2.6 percent. The UN is forecasting 3.1 percent economic growth in 2015 and 3.3 percent growth in 2016.
iii. The World Economic Situation and Prospects 2015 report says business investment will be a major driver in the United States, growth in the world's least developed economies will exceed the global average, and strong household consumption will keep East Asia the world's fastest growing region. iv. Among developed economies, the report says the United States will see 2.8 percent growth in 2015 and 3.1 percent in 2016.
i. A United Nations report has said that India's economic growth is expected to improve to 6.3 per cent in the next two years, with the country leading the economic recovery in the South Asian region. ii. The UN World Economic Situation and Prospects, WESP, 2015 report, released today says India is likely to make progress in implementing economic policy reforms and help in providing support to business and consumer confidence. This economic growth is despite the continuing financial crisis and the emergence of new challenges, including geopolitical conflicts such as in Ukraine, and the Ebola outbreak in West Africa. iii. The report also says that India is estimated to record a 5.4 percent economic growth this year and its GDP will improve to 5.9 per cent next year and to 6.3 per cent in 2016.
i. Bhutan on 8 December 2014 became the 181st member of Multilateral Investment Guarantee Agency (MIGA). ii. MIGA is the political risk insurance and credit enhancement arm of the World Bank Group. iii. Bhutan has fulfilled all of its membership requirements to become the member of MIGA. i. The move will allow the private sector and corporations of a country to explore external commercial borrowing (ECB). ii. Once a member of MIGA, the private sector and corporations in the country will have the option of directly applying to MIGA for issuance of guarantee to attract Foreign Direct Investment (FDI). iii. MIGA’s guarantee can help investors obtain access to ECB with improved financial terms and conditions. i. The pioneer of home video game console Ralph Henry Baer died on 6 December 2014 in Manchester following a brief illness. He was 92.
ii. He was famously known as the Father of Video Games due to his contributions to video game industry. i. Randhir Singh was appointed as an honorary member of the International Olympic Committee (IOC). He was appointed as the honorary member during the IOC session in Monaco held from 8 December 2014 to 9 December 2014.
ii. He was named for the honorary membership of the IOC after he served IOC as a full member from India from 2001 to 2014.
iii. Randhir Singh is the second Indian to become an honorary member of the IOC after Ashwini Kumar. Ashwini Kumar was also given the membership after serving as full IOC member from India. i. Pakistan becomes the first team to enter the semi finals of ongoing Hockey Champions Trophy tournament at Bhubaneswar. They beat The Netherlands 4-2 in the quarter finals. ii. The quarter final match between Argentina and Australia is underway. Later in the evening, India will fight for a semi final spot as they take on Belgium in the quarterfinals. iii. The match will begin at 7.30 pm. All India Radio will broadcast the live commentary of the match. In other quarter final fixtures, England will face Germany in the evening. i. On third day of the Adelaide Cricket Test, India gets into a comfortable position against Australia. At the stumps India were 369 for the loss of five wickets in the first innings and now trail Australia by 148 runs. ii. 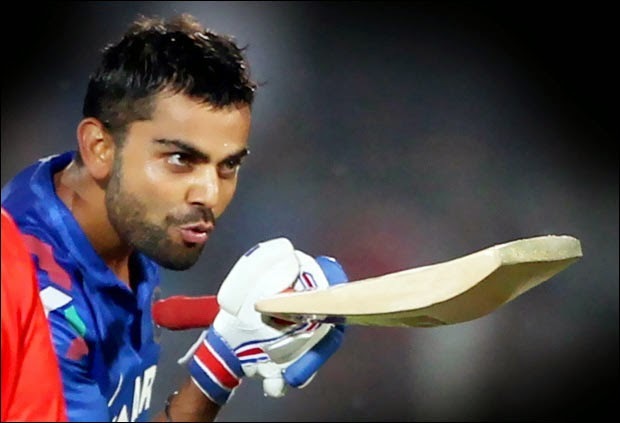 Skipper Virat Kohli struck a superb century that cruised India from early hiccups. Kohli paved the way for his 7th Test Century before he succumbed to Mitchell Johnson's bouncer at 115 runs. iii. Cheteshwar Pujara and Ajinkya Rahane chipped in with half centuries. For Australia Mitchell Johnson and Nathan Lyon picked 2 wickets each. Earlier, in the morning hosts had declared their first innings at 517 for 7.